Manufactured to MIL-PRF-121 TI specifications. NSN#8135-00-233-3871. All rolls are shipped individually via UPS. Please call 1-800-644-4032 for bulk pricing or freight shipping. Order rolls of material through this page. This material is also available as sheets, tubing, and bags. This material is certified to MIL-PRF-121G T1 military performance specifications. 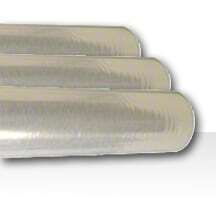 This material is suited for general packaging of metal parts prone to rust during shipping or storage. For details on the MIL-PRF-121G T1 military specification, click here.